Let’s face it, schooling can sometimes be boring. The monotonous nature of its activities gets you fed up to a point where you wish you could abandon it for much more exciting endeavors. Hundreds of apps exist to inject life into whatever you’re studying in school. These tools will transform the way you learn and make it more exciting. With these apps, learning becomes fun, while positive learning outcomes are visible. On the WolframAlpha app, you’ll find answers to every question. All you need to do is type that question or math question that that has been difficult to solve. You can ask it to remind you of a particular formula too. When WolframAlpha solves a problem, it doesn’t only show you the answer. It explains the steps involved in finding the solution. So, whether you are in the sciences, media department, or you plan to become an engineer, WolframAlpha is your buddy. It is available for both Android and iOS users. We live in an age where paper and pen are fast disappearing in classrooms. But, as long as you have the MyScript Calculator app, you can still do mathematical calculations with your hand, on your tablet or phone. Calculating with one’s hand is one sure way to remember all your formulas and steps. 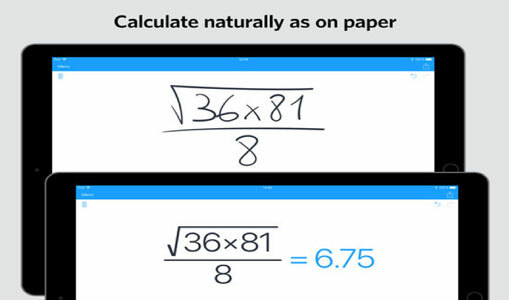 No matter how complex an equation may seem, theMyScript Calculator recognizes your handwriting and guides you through your math lessons. It’s available on Android & iOS. With GoConqr you’ll have access to useful resources such as Flashcards, Quizzes, Mind Maps, Notes, and Slides. You can also use the app to learn through different social groups. You get to connect with classmates or individuals with similar learning interests, so you can all learn and discuss topics together. The app features tons of relevant learning materials that will help you excel and stay ahead in class. The most amazing part is that it’s free to use. Get the Android, iOS or web version. myHomework Student Planner helps you track assignments, class scheme, continuous assessments, projects and so on. What this means is, with the Planner, you can line up all your activities for a particular term, with their dates and deadlines. My Homework Student Planner will help remember all you have to do in school and at home. It also makes you more organized. Never again would you be scolded by a teacher because you forgot the deadline for your project. myHomework Student Planner is free and you can get it on Android, iOS, Windows, or a Mac. While it’s good to study, it’s also important to get adequate rest. The quality of your education is dependent on how well you rest. Although, you should also understand that the length of your sleep is not a guarantee that you have rested well. This is why maintaining a sleep cycle is key. 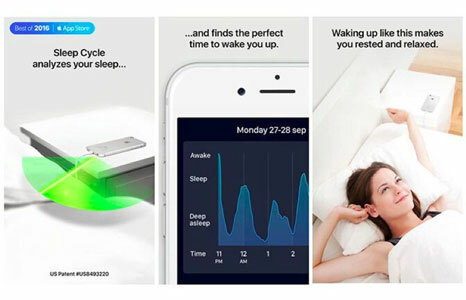 The Sleep Cycle app examines your sleeping pattern with the aid of your phone’s accelerometer and your microphone. It is programmed to wake you up through its alarm at the precise time that you should be awake. With the app on your phone, you get to rest well, as well as wake up to study at the right time. Download the Android and iOS version. What other apps make learning more exciting? Share in the comments section below.